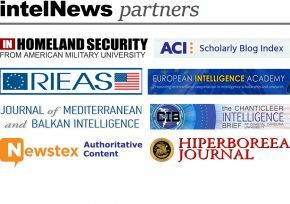 Ever since 2008, when we launched intelNews, we have monitored daily developments in the highly secretive world of intelligence while providing an expert viewpoint removed from sensationalism and conspiratorial undertones. As 2015 is about to conclude, we take a look back at what we think are the ten most important intelligence-related developments of the past 12 months. Regular readers of this blog will surely agree that we witnessed our fair share of significant intelligence-related stories this year. Some of them made mainstream headlines, while others failed inexplicably to attract the attention of the news media. In anticipation of what 2016 may bring, we present you with our selection of stories, which are listed below in reverse order of significance. This is part one in the series; part two is available here. 10. Is the United States military sharing intelligence with Syria? Officially, the US government is opposed to the regime of Syrian President Bashar al-Assad. Washington has repeatedly stated that peace in Syria can only be achieved if the Assad family abandons power. But could it be that the common goal of combatting the Islamic State and al-Qaeda-linked groups is prompting a behind-the-scenes collaboration between the two countries? In a report published recently in The London Review of Books, veteran American investigative journalist Seymour Hersh claimed that America’s military leadership had secretly shared intelligence with Damascus in an effort to aid al-Assad’s efforts to defeat Islamist groups in Syria. What is more, Hersh alleged that the White House, including US President Barack Obama, had not authorized the intelligence sharing and was not aware of the secret arrangement. If Hersh’s sources are correct, this development would indicate a growing gap between the White House and the Pentagon over America’s position toward the Syrian Civil War. 9. After much speculation, the Mossad gets a new director. For years, intelligence observers have monitored the growing rift between Israel’s primary intelligence agency, the Mossad, and the government of Israeli Prime Minister Benjamin Netanyahu. In sharp contrast to the Likud party chairman, the Mossad has consistently argued that Iran voluntarily halted its nuclear program before 2012, and that establishing peace with the Palestinians is far more critical for Israel’s security than halting Iran’s nuclear ambitions. Moreover, senior former Mossad officials have joined calls urging Netanyahu to stop criticizing Washington’s Middle East policy and work together with the White House. In early December, the Israeli Prime Minister announced in a hastily announced press conference in Jerusalem that Yossi Cohen, a 30-year Mossad career officer, would lead the agency. Cohen left the Mossad in 2013 to chair Israel’s National Security Council and advise the prime minister, with whom he is believed to have a very close personal relationship. Does his new appointment mean that the Mossad will adopt a more pro-Likud stance on Israel’s foreign policy? Given the urgent regional pressures that Israel faces, it should not be long before we begin to find out. 8. The CIA was running a double spy inside German intelligence. In 2015, the relationship between the US and Germany continued to be negatively affected by the revelation two years ago that the National Security Agency had bugged the personal cell phone of German Chancellor Angela Merkel. However, American intelligence agencies appear to have also targeted German government secrets using human assets. In July of 2014, Germany //expelled// the Central Intelligence Agency station chief in Berlin, following the arrest of Marcus R., a 31-year-old, low-level clerk at the Bundesnachrichtendienst, or BND, Germany’s external intelligence agency. More details about the double spy emerged at his trial this year. The court was told that the spy may have given his American handlers information on the real identities, as well as operational aliases, of nearly 3,500 German intelligence operatives. German government prosecutors alleged that Marcus R. spied for the CIA for approximately two years, during which he supplied the American spy agency with around 200 classified German government documents in exchange for around €25,000 —approximately $30,000. 7. Who killed Alberto Nisman? In January of this year, Argentine state prosecutor Alberto Nisman accused the President of Argentina, Cristina Fernandez de Kirchner, and senior members of her cabinet, of having deliberately obstructed a terrorism investigation. It concerned the bombings of the Israeli embassy and a Jewish cultural center in Buenos Aires in the mid-1990s, which killed nearly 100 people. For years, Israeli authorities have accused Iran of perpetrating the attacks. But Nisman claimed that senior Argentine politicians colluded with the government of Iran to obstruct the investigation into the attacks, in exchange for lucrative commercial deals with Tehran, involving oil and arms exports. Then, on January 19, just hours before he was due to give Congressional testimony on the subject, Nisman was found dead in the bathroom of his apartment, which had been locked from the inside. In response, President Kirchner accused the Secretaría de Inteligencia del Estado (SIDE) of feeding Nisman fabricated information implicating her and her government minsters in a fictional collusion with the Islamic Republic, and then killing him in order to destabilize her rule. She has since dissolved SIDE and charged its leadership with involvement in Nisman’s killing. 6. NSA allegedly spied on every major French company. In June of this year, French President Francois Hollande convened an emergency meeting of the Conseil de la Défense, the country’s highest national security forum, to discuss revelations that the United States spied on three French heads of state, including himself. Documents leaked by American defector Edward Snowden appeared to implicate the US National Security Agency (NSA) in spying on President Hollande, as well as on Jacques Chirac and Nicolas Sarkozy, who ruled France from 1995 to 2012. Later that same month, however, further reports published by WikiLeaks suggested that the NSA collected information on export contracts by French companies and sought inside information on France’s position on international trade negotiations. According to the documents, the NSA target list included every major French company, including car makers Peugeot and Renault, banking conglomerate BNP Paribas, as well as Credit Agricole, one of Europe’s leading agricultural credit unions. It is one thing to collect political or military information on a foreign country; it is quite another to spy for financial reasons, as the US itself has argued before. But if the WikiLeaks documents are factual, it would mean that even Washington fails to refrain from economic espionage.